I want to follow up on the Romare Bearden event at the Schomburg, it was really special. 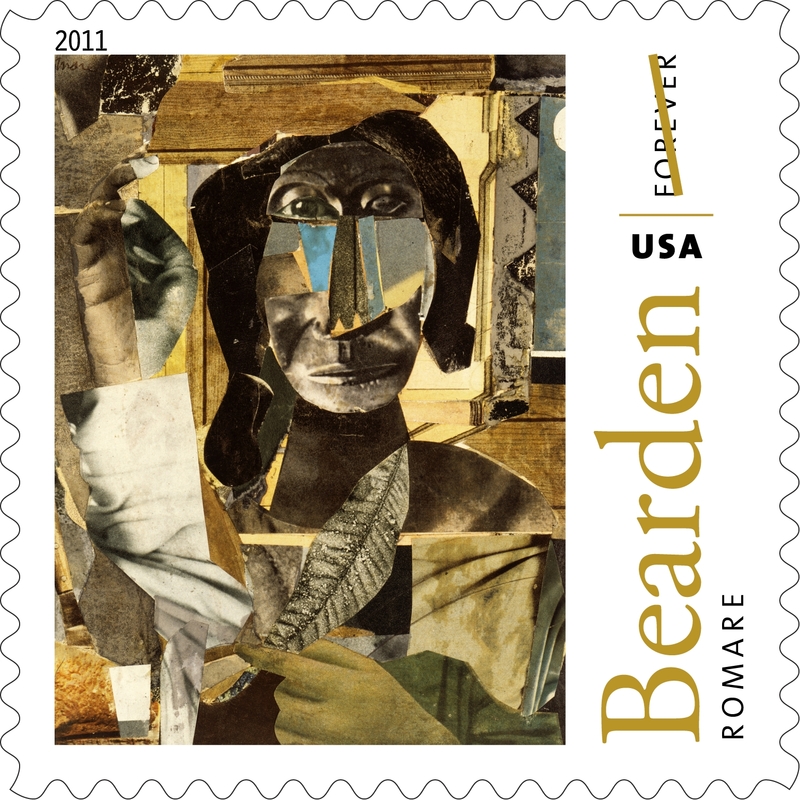 I really love what the USPS does with it’s African American series. This one was special for me as I just love Romare Bearden. He was a very special artist. Ronald A. Stroman, Deputy Postmaster General made the presentation. The whole ceremony was first class. I remember I attended the Madame C.J. Walker stamp ceremony also. It was actually held in her mansion in Westchester. I felt honored and proud to be there, what an inspiration!! And now Romare Bearden!! The most exciting thing for me was that I got the opportunity to meet members of Romare Bearden’s family!!! Now that is one for my own herstory book!! It was very uplifting. This is also the 100 year celebration of Romare Bearden so this was a very special event. Below is more info about the Forever Stamp. 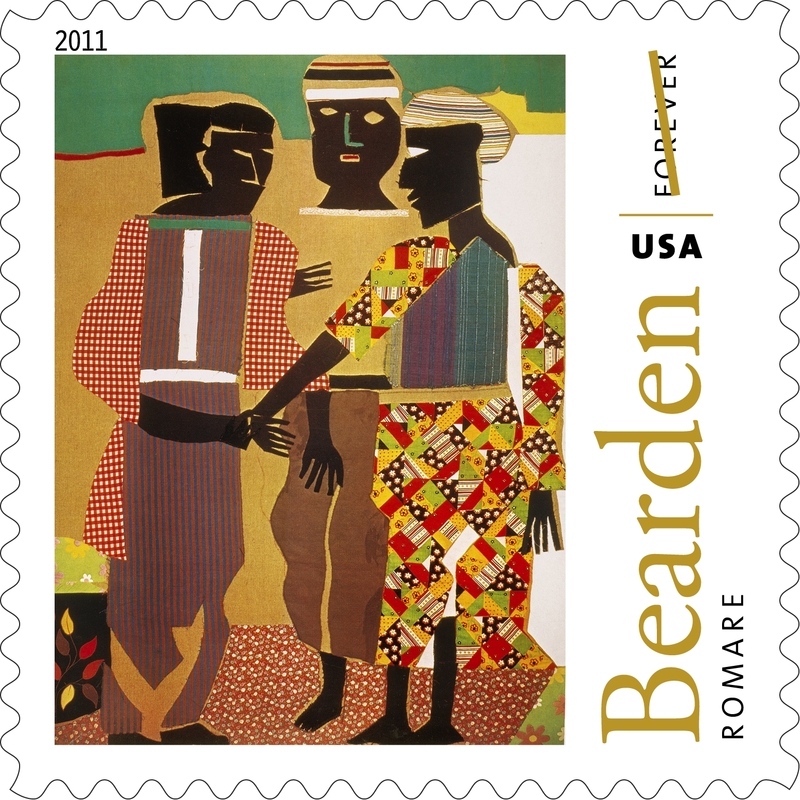 Go out and get your Romare Bearden Forever Stamps!!! They are beautiful!!! For more information on the USPS stamps series, go to http://www.usps.com/shop or call 800-STAMP-24. Today is also the celebration of 11-11-11. Everyone is asking why this day is so special and the reason is multi-layered. But the essence of it is that numbers are power as Lloyd Strayhorn says. Everything is based on numbers which is vibrations. Everything and everyone is connected and we are all here on this earth to move closer in our own way, to GOD, THE MOST HIGH, the Universe, or whatever you call that Total Beingness. To be practical, it means to live your dreams, dare to push the envelope, be the best vision of yourself you can imagine, help your fellow man and woman, love nature, respect your elders and love your children and most of all love yourself!!! Happy 11-11-11 Everyone!! I send you Love, Light, Peace, Success, Perfect Health and Well Being and Happiness!!! Harlem, and Raschelle Parker, manager, Marketing, New York District, U.S.
each of the four stamp designs. was a strong influence on Bearden’s art. 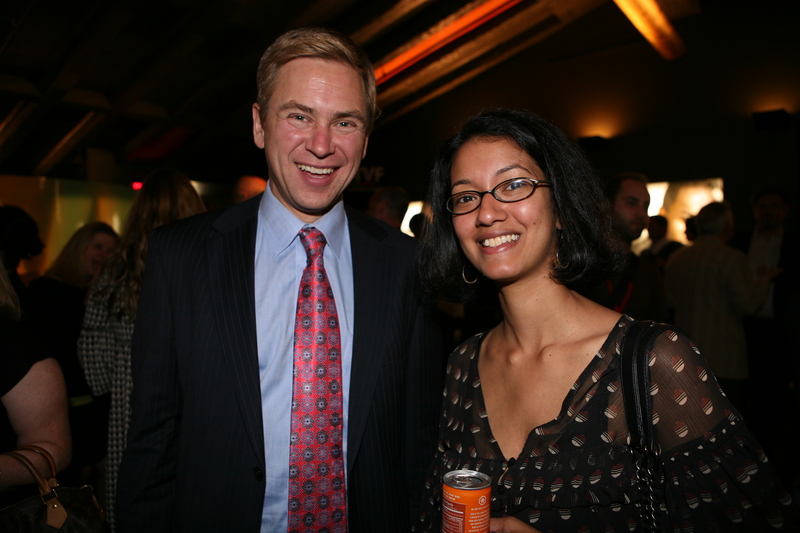 The NY Television Festival has wrapped up and was a pretty big success this year. The land of TV is changing for sure and we must all move forward into the new age of digital technology and multi-platform distribution. 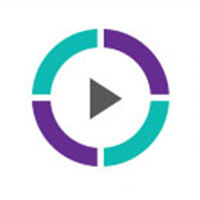 People today are watching their favorite programs on smaller devices and whenever they want to. Digital Day was my favorite day as it gave me insights on what is to come and affirmed that the path I am taking with my media business is the right path for me and what UBC has to offer and will be offering in the future to the masses. The Multiplatform and Transmedia Storytelling was great, so was the MSN panel on original content. 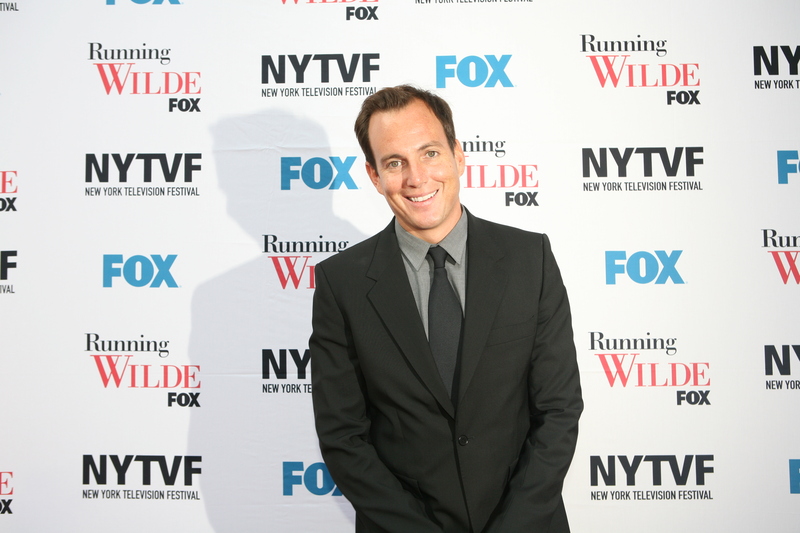 You can see all of the panels online by going to the NYTVF website which is listed in my blog. Writer’s Boot Camp had a great panel on character development, storyline development and the difference between writing for television and for film. Great panel. They have offices in New York and give classes online and in person. Quite a few people who have taken their courses write for many of the major television shows today. If you are serious about becoming a professional writer you have to put in the time and study to do so. It takes talent but it is also a skill. Go to http://www.writersbootcamp.com for more info. Another good thing going on this week until mid October is the Hip Hop Theater Festival. I will have more on that in a couple of days but you can go to http://hhtf.org to check it out. Lots of dance, theater and great art!! Remember that tomorrow is the memorial for ABBEY LINCOLN. That Friday evening. Check it out in my blog listing. Finally-whew!! This saturday is Back Stage’s Actor Fest. If you are an actor, actress, singer, dancer or performer, you must attend. 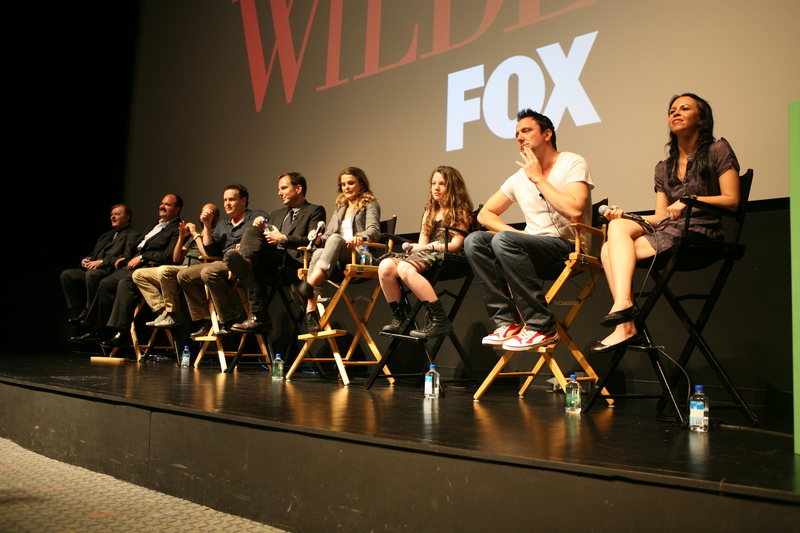 They will have workshops, you can meet casting directors in person, photographers and many other people and companies that are in the industry of film, television, music, radio and theater. Dont forget voiceovers. If you are serious about your career, please go there. There will be reps from the soaps in addition to producers, directors, etc. A regular pass is FREE!!!! Just sign up. The workshops are usually a reasonable fee. Go to http://www.actorfest.com This should be enough for you.